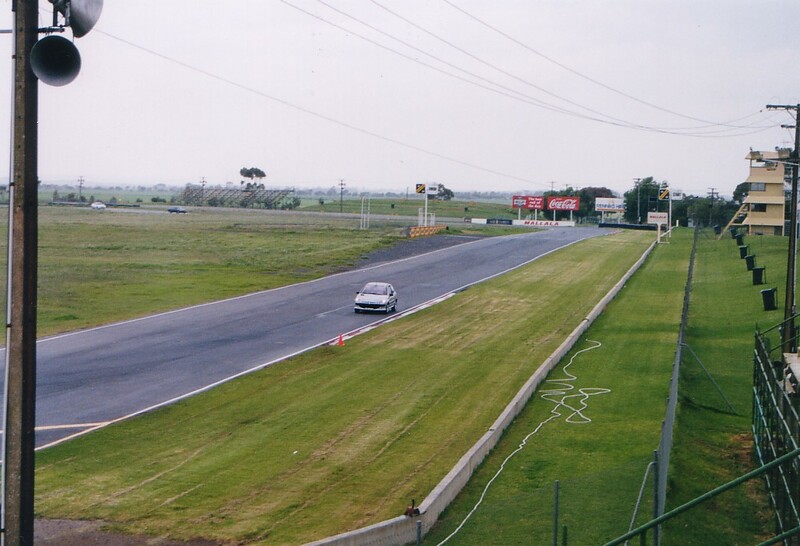 (Update 02/03/2002 - yeah I know it's a while, but I've added 6 new pics I scanned in ages ago of the Pug going around turn 1 of the track). 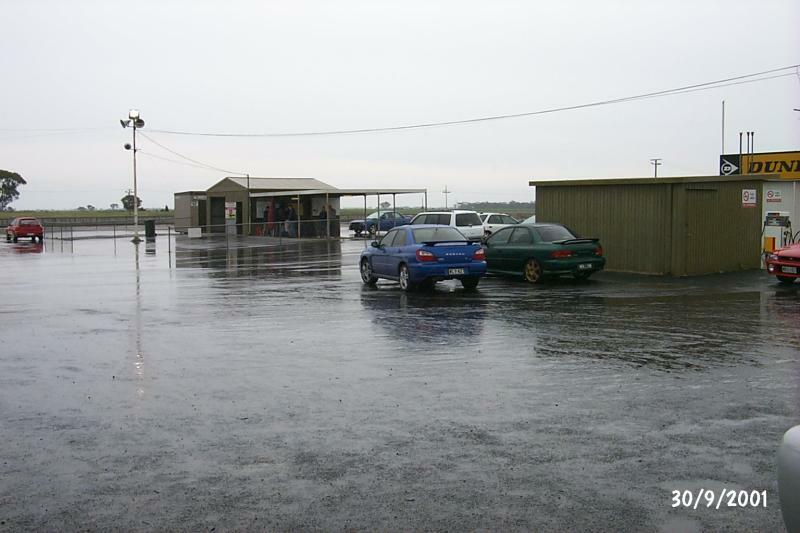 The Impreza WRX Owners Club of SA had a track day at the local Mallala Circuit. I know a few people in the WRXSA club, and so with a number of other non-WRX cars, went along. 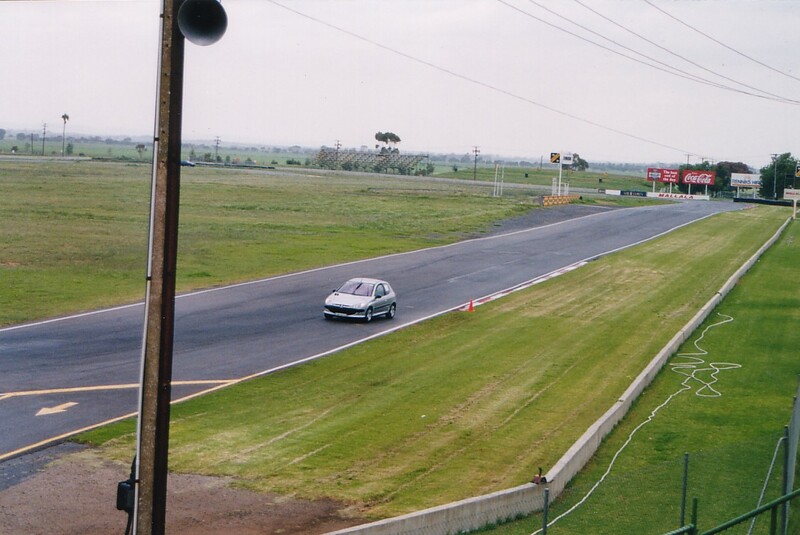 This was strictly a driver training day with no timing and no "racing". 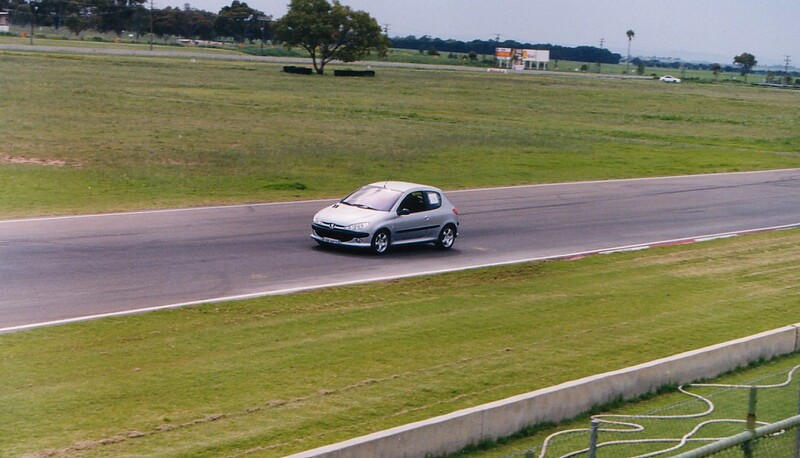 Alex, a 205GTi owner, also came along and we compared notes. 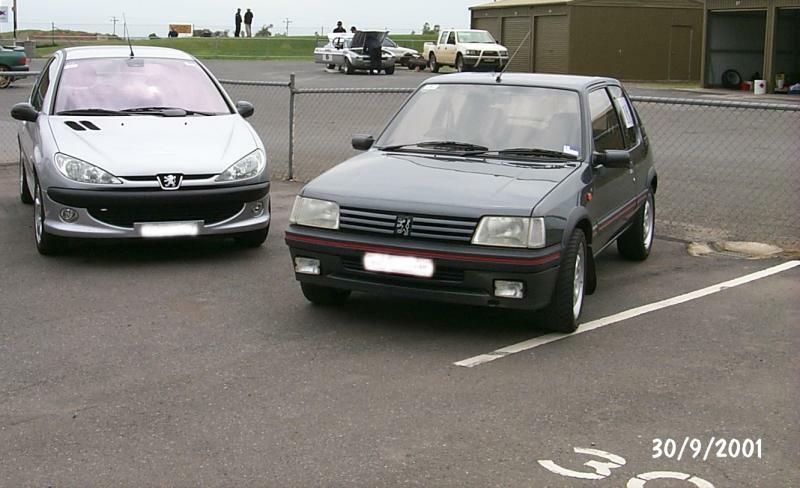 There are a lot more similarities between the 205 and 206 than people think. 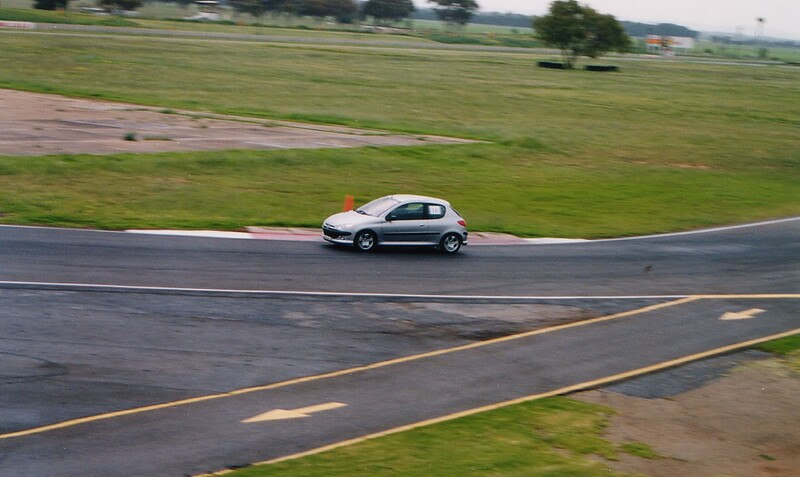 Clearly the 206 is a modern version with all the technology etc that it implies. The day was good, however, the weather turned ugly and made conditions slippery, so I went home early (bad idea as apparently late in the afternoon conditions improved). Because the only proper session (mid morning) that Alex and I did, there's limited video/photo - hopefully I'll be able to rectify that later. The Pug was good on the track. I didn't push hard due to the conditions, but given the oil temp went up a bit (115C) I must have been going harder than I expected. 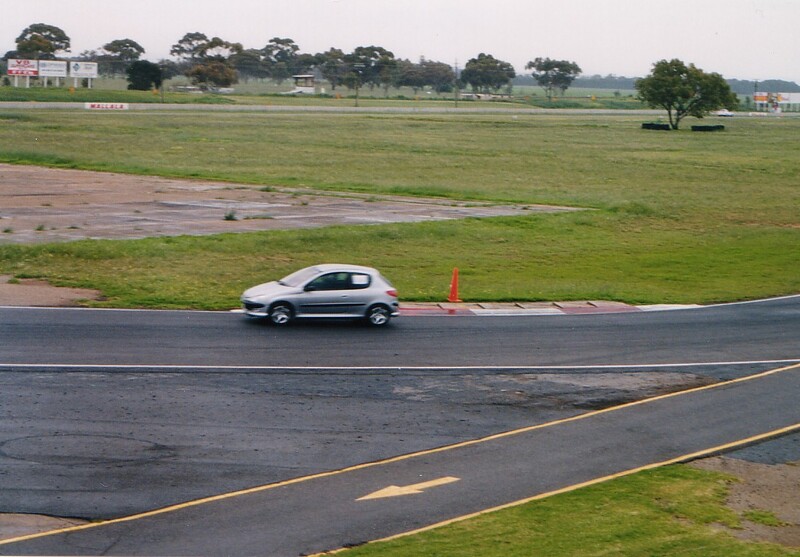 When following the proper racing line (hard to do through turn 2 as it's a double apex - shown in the video above) the Pug handled very well and was quite enjoyable to drive. 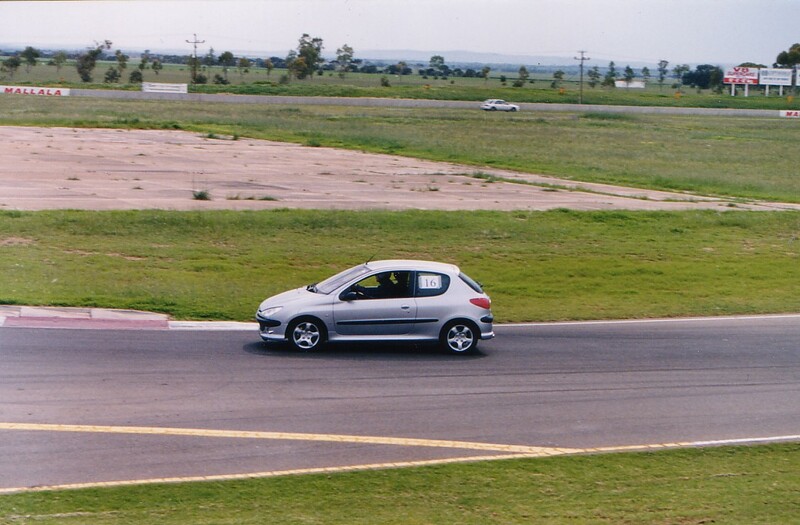 Compared to other cars I've driven around Mallala it wasn't very taxing. I used tire pressures of 38psi which I found worked well with the P6000's. I didn't check them much as I just wasn't doing enough to get much heat into them. Hopefully next time I'll be able to track this a bit better (it's just no fun checking tire pressure in the rain!). Even though for me it ended early, it was a good day, well organized. Thanks to WRXSA for organizing it. Thanks to Ian, James and John for lending me various cameras and video capture equipment! Thanks to Rebecca for lending me her helmet. Thanks to Kevin Hill and WRXSA who ran the event.